Currently, over 60% of the world population lives in a country where capital punishment is practiced. In 2011, at least 676 executions were carried out worldwide. However, this number excludes China, where thousands of people are thought to have been executed. In 2011, 1,923 people were known to have been sentenced to death. Some people have accepted the law of capital punishment and others strongly contend that it is inhumane. The subject has been highly debated in the media and by world governments. In some countries, executions can be carried out only if the person is convicted of crimes against humanity. After the end of World War II, several meetings were held between the United Kingdom, Russia, and the United States to decide what to do with the Nazis. Thousands of German soldiers were rounded up and kept in large camps. During this time, Stalin proposed that every Nazi soldier should be executed. The option was considered, but Churchill denounced the idea saying: “the cold blooded execution of soldiers who fought for their country, I would rather be taken out in the courtyard and shot than partake in such action.” Instead, it was decided that the top members of the Third Reich would be hunted down, put on trial, and possibility given the death penalty. The Nuremberg Trials were held from November 20, 1945 to October 1, 1946. Once the Third Reich was defeated, there was an intelligence race between nations to capture Nazi technology. At the time, the Germans held some of the top scientists in the world. They were extremely influential in the fields of nuclear research, space travel, genetics, biology, disease, and weaponry. In response, a collection of top secret programs were developed to get the information. In the United States, one program was named Operation Paperclip, in Russia it was Alsos, and in the UK it was Operation Backfire. During Operation Paperclip, 126 German rocket scientists were employed by the United States. Some of the men helped grow the U.S. space program and were extremely influential in technological advancements made during the middle of the 20th century. The problem with Operation Paperclip was that Nazi war criminals were being protected and smuggled out of Germany. After the war, some high ranking Nazis managed to evade capture. In most cases, the men found refuge in South America and were protected by various governments. Multiple high ranking members of the Third Reich were also protected by the Catholic Church. The connection between the church and the Nazis is quite shocking. Over the years, multiple different Bishops have been arrested for helping Nazis to freedom. This article will examine 15 Nazis that should have been executed, but weren’t. It could have also been titled 15 Nazis that Lived to Old Age. There were dozens of people that could have been included in the article. Some notable omissions include Hans Sommer, Helmut Knochen, Horst Kopkow, Luise Danz, Paul Schäfer, Eduard Roschmann, Wolfgang Abel, Gunter d’Alquen, Martin Sandberger, and Werner Best. Another person that you might want to research is Hjalmar Schacht. Schacht was the co-founder of the German Democratic Party and in the 1930s he served in Hitler’s government as Minister of Economics. In 1937, Schacht was forced out of the government by Hitler. Schacht was older than Hitler, but in the early 1930s, he looked a lot like Adolf Hitler. Check out the picture. Artur Axmann deserves a spot on this list because of his actions towards children. Axmann was the Nazi leader in charge of the Hitler Youth program from 1940 through 1945. He helped make the program extremely influential in Nazi Germany. Axmann provided vocational training and succeeded in raising the status of Hitler’s Youth in agricultural work. He used Nazi propaganda to warp the minds of the children. On several occasions, young soldiers were used in heavy combat during World War II. In the last few weeks of the war, Axmann sent thousands of teen boys into battle without military training or equipment. He brainwashed them into thinking they were doing something good for their country. During 1945, thousands of German teen soldiers were killed or captured by the Russians. On January 4, 1944, Artur Axmann was awarded the German Order, which is the highest decoration that the Nazi Party could bestow on an individual. He and one other recipient, K. Hierl, were the only holders of the award to survive the war. During Hitler’s last days, Axmann was at Führerbunker. He claims to have heard the shot that killed Hitler. In December of 1945, Artur Axmann was arrested when a Nazi underground movement was uncovered by U.S. officials. In 1949, he was sentenced to only three years and three months in prison as a “major offender.” Many people were outraged by the sentence. After the war, Axmann became a prosperous businessman in Germany. He died in Berlin at the age of 83 in 1996. Erich Traub was a Nazi virologist who specialized in the study of foot-and-mouth disease. He worked directly under Heinrich Himmler and held the position of lab chief at the Nazi’s leading bio-weapons facility on Riems Island. During World War II, Traub carried out a number of experiments with viral and bacterial diseases. He worked on weaponizing foot-and-mouth disease, which was dispersed by aircraft onto cattle and reindeer in Russia for experimentation during the war. Traub provided Hitler with advanced chemical and biological weapon capability and was responsible for the deaths of thousands of people. In one specific case, Germany dropped a large collection of mosquitoes over Italy in order to spread malaria and help stop the Allied resistance. Immediately after the war, Traub was trapped in the Soviet zone of Allied occupied Germany and was forced to work for the Soviets from his lab on Riems Island. In July 1948, the British evacuated Erich Traub from Riems Island and he came to the United States under Operation Paperclip. He was asked to discuss the Nazi animal disease program from a biological warfare perspective. The information was enough for the U.S. to create the Plum Island Animal Disease Center. In 1958, Traub was offered a leading position at Plum Island, but he turned it down. Since that time, many people have connected the specialties of Traub with experiments on Plum Island. For example, Plum Island conducted work on foot-and-mouth disease, Rinderpest, Newcastle disease, African swine fever, and malaria in birds, which are topics covered by Traub. Some people have even connected the history of Lyme disease to Plum Island and Erich Traub. On May 18, 1985, Traub died unexpectedly in his sleep in West Germany. He was seventy-eight years old. Traub was never officially charged with war crimes, but many people feel he should have been convicted and executed with other Nazis. By 2012, most Nazi war criminals are dead, but some remain at large. 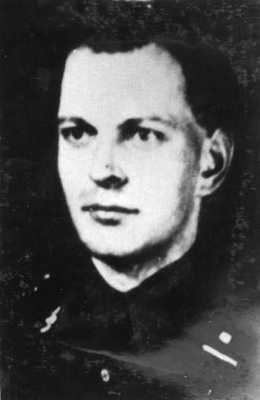 László Csizsik-Csatáry is a man that worked for the Royal Hungarian Police in the city of Kassa (now Košice in Slovakia) during World War II. He was in charge of a Jewish ghetto and helped organize the deportation of approximately 15,700 Jews to Auschwitz. He is accused of inhumane war practices and brutalizing the inhabitants of Kassa during the war. He was known to be a sadist and regularly rounded up Jews and forcibly deported them to Poland. In 1948, Csizsik-Csatáry was convicted in absentia for war crimes in Czechoslovakia and sentenced to death. He fled to Canada and claimed to be a Yugoslav national and settled in Montreal where he lived until 1997. At that time, Canada revoked his citizenship for lying on his application. In 2012, Csizsik-Csatáry was located in Budapest, Hungary, based on a tip received by the Simon Wiesenthal Center. On July 18, 2012, Csizsik-Csatáry was arrested by Hungarian authorities. On July 30, 2012, it was reported that Slovakia wants Csatáry to be tried in their country. In 1990, capital punishment was abolished in Slovakia, but László Csizsik-Csatáry could be sentenced to life in prison if convicted. On June 10, 1944, a commune in west-central France named Oradour-sur-Glane was destroyed when 642 of its inhabitants, including women and children, were massacred by a German Waffen-SS company under Heinz Lammerding. The event was one of the worst civilian massacres in French history. After the end of World War II, the exact whereabouts of Lammerding were not confirmed, but Scottish author Ian Rankin claimed that the British helped him escape to Düsseldorf, Germany and kept him safe. In 1953, Heinz Lammerding was tried in France and sentenced to death in absentia by the court of Bordeaux. However, he was never extradited by West Germany and continued to run a successful civil engineering company until his death in 1971 at the age of 66. 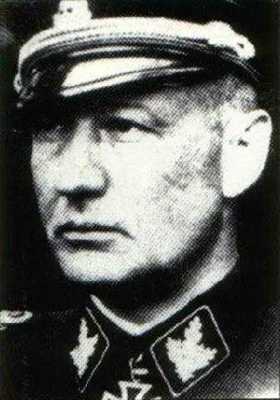 Ludolf von Alvensleben was a Nazi who held the rank of SS-Gruppenführer and Major General of the Police. He had the nickname of “Bubi” (Little Boy). During World War II, Alvensleben presided over the mass executions of Polish citizens in Pomeranian Voivodeship and other adjacent areas. He was responsible for the Valley of Death, which is a site in northern Poland where the mass graves of 5,000-6,600 Poles were found. Alvensleben ordered the mass murders in Piaśnica, which were a set of executions carried out by the Nazis between the fall of 1939 and spring of 1940 in the Darzlubska Wilderness near Wejherowo. In April 1945, Alvensleben was captured by the British and placed in the internment camp at Neuengamme, but he escaped. After a short stay in Schochwitz, he fled with his family to Argentina in early 1946. He was protected by the government of Juan Domingo Perón and granted citizenship under the name of Carlos Lücke. Alvensleben lived in Buenos Aires until 1956 and then moved to Santa Rosa de Calamuchita. In January 1964, the district court of Munich put out an arrest warrant for Alvensleben for the killing of at least 4,247 people in Poland in the autumn of 1939. The extradition request was denied and Alvensleben continued to live in Argentina. He died in 1970 without having ever been brought to trial. 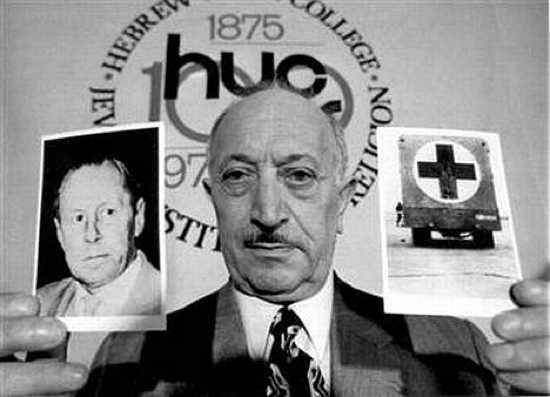 Aribert Heim was an Austrian Nazi doctor, also known as Dr. Death, who carried out human experimentation at a concentration camp in Mauthausen, Austria during World War II. Heim is accused of killing and torturing inmates by various methods. From October to December 1941, he was stationed near Linz, Austria, where he carried out experiments on Jews similar to those performed at Auschwitz by Josef Mengele. According to Holocaust survivors, Heim would inject prisoners in the heart with various substances, including petrol, water, phenol, and poison. It was also reported that Heim removed organs from prisoners without anesthesia. Aribert Heim was a sick man and he enjoyed inflicting torture on humans. In 1942, he served in the 6th SS Mountain Division Nord in northern Finland, especially in Oulu’s hospitals as an SS doctor. It remains unclear exactly where Aribert Heim was positioned from 1943-1945. At the end of World War II, he was captured by US soldiers and sent to a camp for prisoners of war. Heim was eventually released and moved to Baden-Baden, Germany. In Baden-Baden, he worked as a gynecologist. In 1962, Heim got word that the police were searching for him and fled to Egypt via Libya. Since that time, he has been at the center of a massive manhunt. Sightings of Aribert Heim have been reported in Latin America, Spain, and Africa, but he has never been formally identified. In 2009, it was reported by German broadcaster ZDF and the New York Times that Aribert Heim had taken the false name Tarek Farid Hussein and lived in Egypt until he died of intestinal cancer in Cairo in 1992. However, after a German investigation in Cairo, authorities found no evidence of Heim’s death, so his fate remains a mystery. In 2005, press reports were released that suggested Heim was located in Spain. In 2008, it was claimed that Heim was alive and hiding in Patagonia, either in Chile or Argentina. Gustav Wagner was an SS-Oberscharführer (Staff Sergeant) from Vienna, Austria that was the deputy commander of Sobibor extermination camp in German-occupied Poland. During the war, Wagner became known as “The Beast” and “Wolf” for his extreme brutality. He was a mass murderer. In May 1940, Wagner first participated in the Third Reich’s Action T4 euthanasia program. 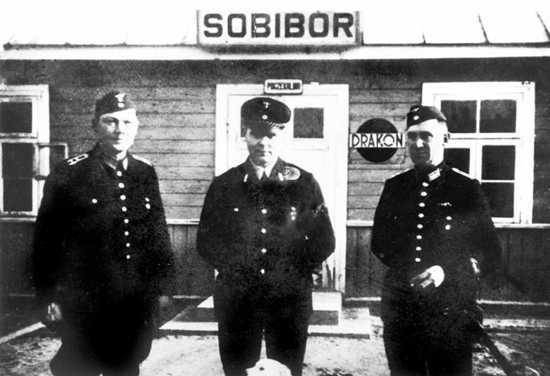 Action T4 was the name for the Nazis law in which physicians killed thousands of people who were “judged incurably sick, by critical medical examination.” In March of 1942, Wagner was sent to the Sobibor extermination camp and positioned under Franz Stangl. Similar to Josef Mengele in Auschwitz, it was Wagner’s job to decide which Jewish people would be used as slave laborers and which would be killed. Jewish survivors have described Gustav Wagner as a sadist. At Sobibor, he would regularly beat inmates to death in front of crowds. He would kill Jews without reason or restraint and was considered one of the strictest guards. Wagner was in charge of direct prisoner supervision. Heinrich Himmler described him as “one of the most deserving men of Operation Reinhard.” After World War II, Gustav Wagner was sentenced to death in absentia, but he escaped to Brazil. It has been speculated that the Vatican helped him get out of the country and find a safe place to live. On December 4, 1950, Wagner was issued a Brazilian passport. He lived in Brazil under the pseudonym Günther Mendel for three decades until he was exposed by Simon Wiesenthal and arrested on May 30, 1978. Over the next two years, several extradition requests were made for Wagner by Israel, Austria, Poland, and West Germany, but Brazil rejected them and harbored the fugitive. In 1979, Gustav Wagner showed no remorse for his actions in a BBC interview. He said: “I had no feelings. It just became another job. In the evening we never discussed our work, but just drank and played cards.” On October 3, 1980, Gustav Wagner was found dead in São Paulo with a knife in his chest. According to the official report, he committed suicide, but some feel he was executed by Nazi hunters. Kurt Blome was a high-ranking Nazi scientist. During World War II, he was the deputy health minister of the Third Reich. Blome was an expert on bacteriological warfare and biological weapons. He had a longstanding interest in the “military use of carcinogenic substances” and cancer-causing viruses. In 1942, Blome became director of a unit affiliated with the Central Cancer Institute at the University of Posen, which is now in Poland. Blome worked on methods for the storage and dispersal of biological agents like plague, cholera, anthrax, and typhoid. He is known to have infected prisoners with plague in order to test vaccines. Blome was an expert in aerosol dispersants and the transmission of malaria to humans. At Auschwitz, he sprayed nerve agents like Tabun and Sarin from aircraft on prisoners. In March of 1945, Blome fled from Posen just ahead of the Red Army. He was unable to destroy evidence of his experiments, which is why we know so much about his torture. On May 17, 1945, Kurt Blome was arrested by an agent of the United States Counter Intelligence Corps in Munich. He was tried at the Doctors’ Trial in 1947 on charges of practicing euthanasia and conducting experiments on humans. However, in a shocking decision, Blome was acquitted in the trial. It is widely believed that he was saved by American intervention. In return Blome provided information to the United States on germ warfare. In 1951, Kurt Blome was hired by the U.S. Army Chemical Corps under Project 63, which was one of the successors to Operation Paperclip. He was employed at the European Command Intelligence Center at Oberursel, West Germany and worked on chemical warfare projects. Blome also conducted research on cancer. To date, most of the biographies of Blome mention that he was eventually arrested by French authorities, convicted of war crimes, and sentenced to 20 years in prison. However, I can’t find any information on what jail he went to, what year he was sentenced, or whether he died in prison. Most accounts say he died on October 10, 1969 in Dortmund, Germany at the age of 75. In the early part of World War II, Heinz Reinefarth participated in the invasion of Poland and the capture of France. On April 20, 1942, he was promoted to SS-Brigadeführer, the equivalent of Brigadier General. On January 29, 1944, Reinefarth was assigned to Reichsgau Wartheland, where Hitler put him in charge of any organized rebellion by the Poles. On August 1, 1944, the Warsaw Uprising began with the goal of pushing the Nazis out of Warsaw. In response to the event, Reinefarth entered the district of Wola and ordered the execution of 40,000 people. Thousands of Polish civilians were indiscriminately killed in mass executions. “The massacres in Wola had nothing in common with combat. The ratio of civilian to military dead was more than a thousand to one, even if military casualties on both sides are counted.” It has been estimated that 150,000-200,000 Polish civilians were killed during the uprising. 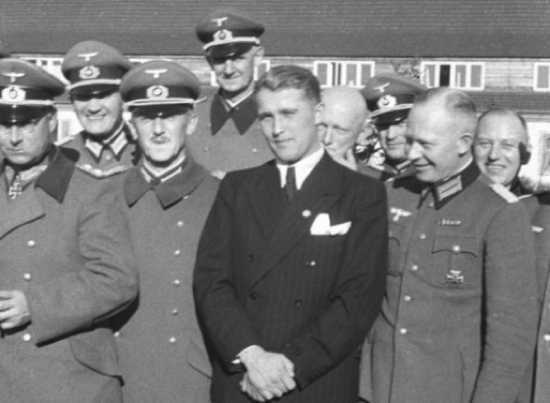 During the massacre, Reinefarth sent a letter to the German command with the message: “we have more prisoners than ammunition to kill them.” For his actions, Reinefarth was awarded the Oak Leaves to his Knight’s Cross by Hitler. After World War II, Polish authorities demanded the extradition of Reinefarth for over three decades, but it never happened. Instead, he was released due to a “lack of evidence.” It was an outrageous decision that frustrated people all over the world. After being released, Reinefarth moved to the town of Westerland on the island of Sylt, Germany, and became the town’s Mayor in 1951. In the 1970s, he retired and was given a pension by the government of West Germany. Heinz Reinefarth died on May 7, 1979, in his manor on Sylt. After the war ended, Barbie was recruited by the Western Allies and worked for the British until 1947. After that, he was an agent for the 66th Detachment of the U.S. Army Counter Intelligence Corps (CIC). In 1951, Barbie was positioned in Argentina with the help of U.S. intelligence services and the Croatian Roman Catholic priest Krunoslav Draganović. Similar to other cases, the Roman Catholic Church is known to have helped Barbie escape and provided him with housing in monasteries. In 1965, Klaus Barbie was recruited by the West German foreign intelligence agency BND under the codename “Adler” (Eagle). He moved to Bolivia and took part in the “Cocaine Coup” of 1980. During his time in Bolivia, it has been suggested that Barbie helped the United States’ CIA orchestrate the 1967 capture and execution of Che Guevara. In 1971, Barbie was identified in Bolivia by the Klarsfelds, who is a team of Nazi hunters from France. He was protected for 12 more years until January of 1983, when the newly elected government of Hernán Siles Zuazo arrested Barbie and extradited him to France to stand trial for crimes against humanity. On July 4, 1987, Barbie was convicted and sentenced to life imprisonment. He died of leukemia four years later at the age of 77. This entry will examine three men that orchestrated the mass killing of Jews at the Sobibor extermination camp in Poland. 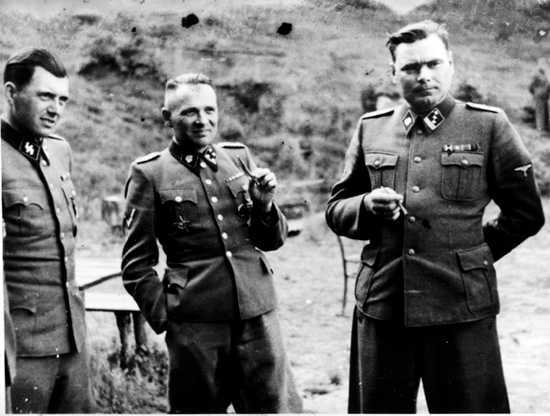 They are Franz Stangl, Erich Bauer, and Hermann Michel. Stangl was an Austrian-born SS commandant that was convicted of the mass murder of 900,000 people. After World War II, Stangl fled to South America and was arrested in Brazil in 1967. He was extradited to West Germany and given a life sentence. Capital punishment was abolished in West Germany in 1949, so Stangl was not given a death sentence. He died in 1971. Erich Bauer, sometimes referred to as “Gasmeister,” was a SS-Oberscharführer (Staff Sergeant) that served as a gas chamber operator at Sobibor extermination camp. He performed mass executions at the camp and was a direct perpetrator of the Holocaust. After the war, Bauer was arrested by American troops, but released back to Germany. He then settled in Berlin, but in 1949 Bauer was recognized by two former Jewish prisoners by chance. The men confronted Bauer and he reportedly said, “How is it that you are still alive?” In May of 1950, Erich Bauer was sentenced to death for crimes against humanity, but since capital punishment had just been outlawed, he was given a life sentence. In 1980, Bauer died in Berlin Tegel prison. Hermann Michel was a Staff Sergeant that participated in the murder of thousands at the Sobibor extermination camp. During the war, he became known as “the preacher” because it was Michel’s job to make a speech to all of the Jewish victims before they entered the gas chambers. He would lie to the people and give them false hope for survival. During his speeches, Hermann Michel would dress in a white coat to appear as a doctor. After the war, Michel disappeared and was never identified. Unlike Stangl and Bauer, he was not captured and tried for mass murder. Some sources published reports that he died on August 8, 1984, but this has not been confirmed. Heinrich Müller was a high ranking Nazi official. 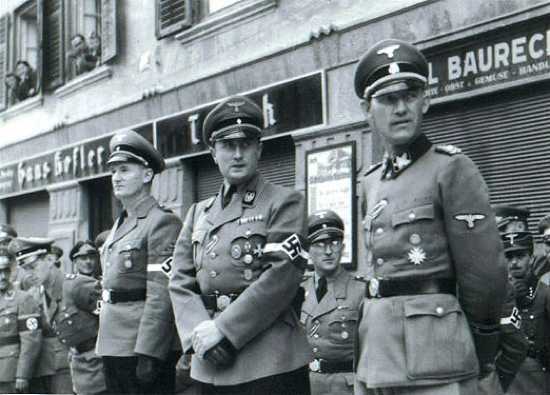 During World War II, he became the chief of the Gestapo, which was the political secret state police of Nazi Germany. 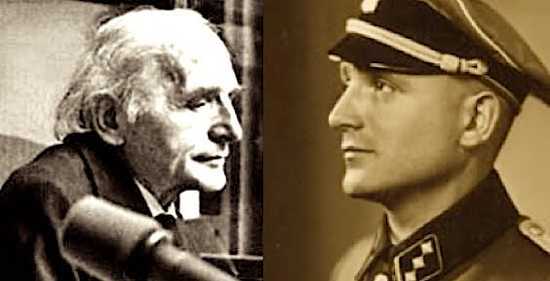 Müller was directly involved in the planning and execution of the Holocaust. He was known as “Gestapo Müller” to distinguish him from another SS general named Heinrich Müller. 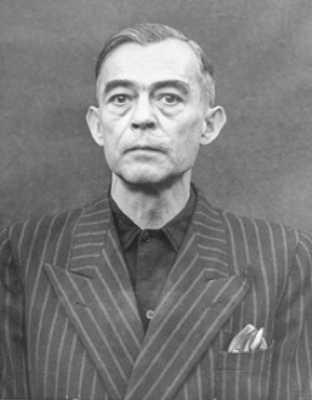 During World War II, Müller was heavily involved in espionage and counter-espionage. In the hierarchy of Nazi power, he occupied a position between Heinrich Himmler and Adolf Eichmann. 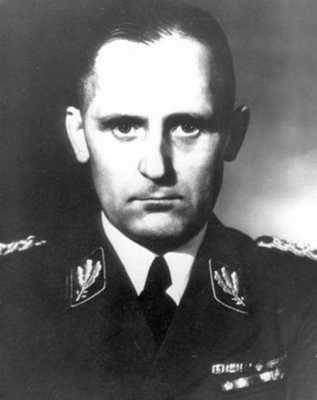 Heinrich Müller oversaw the military groups involved in the Jewish Holocaust, including the Einsatzgruppen. 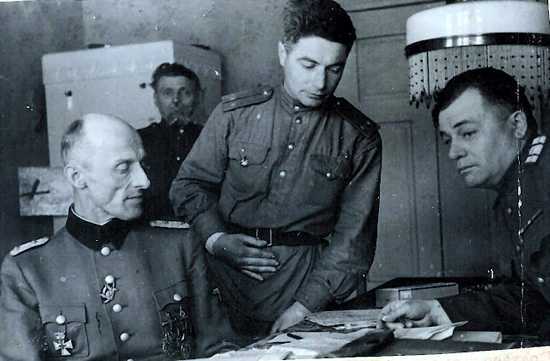 After the assassination attempt against Adolf Hitler on July 20, 1944, Müller was placed in charge of the arrest and interrogation of all those suspected to be involved. He arrested over 5,000 people and 200 were executed. In April 1945, Müller was among the last Nazi officials in central Berlin as the Red Army approached. He was last seen by Hitler’s pilot Hans Baur on the day after Hitler’s suicide. Müller said to Baur: “We know the Russian methods exactly. I haven’t the faintest intention of being taken prisoner by the Russians.” Since that day, nobody has heard from Heinrich Müller. He remains the most senior member of the Nazi regime whose fate remains a mystery. In 1960, after the arrest of Adolf Eichmann, it was suggested by Eichmann that Heinrich Müller was still alive. Walter Rauff was a high ranking SS officer in Nazi Germany. He attained the grade of Colonel (Standartenführer) in June 1944. He was a violent commander and is thought to have been responsible for nearly 100,000 deaths during the Second World War. In 1941-1942, Rauff was involved in the development of gas vans, which was a form of mass execution used by the Nazis. The van was equipped with pipes to kill people by means of carbon monoxide poisoning, which is a slow and agonizing way to die. In 1942-1943, Rauff was involved in the persecution of Jews in the Middle East as the Nazis’ tried to expand the Holocaust to other parts of the world. He participated in the murder of thousands of people in the British Mandate of Palestine, British-occupied Iraq, French-occupied Syria, Lebanon, Egypt, and Libya. It was the job of Walter Rauff to follow German Field Marshal Erwin Rommel and set up extermination camps in the wake of his success. During World War II, more than 2,500 Tunisian Jews died in a network of SS slave labor camps before the Germans withdrew. Rauff was then sent to Milan where he took charge of all Gestapo activities in northwest Italy. In both positions, Rauff gained a reputation for utter ruthlessness and unprovoked violence. At the end of World War II, Rauff narrowly avoided being lynched by an Italian mob. He then escaped from an American internment camp in Rimini under the protection of Bishop Alois Hudal. 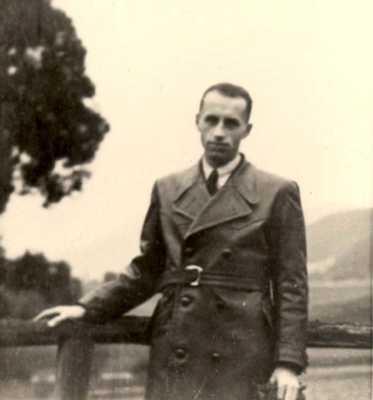 Alois Brunner was a German Schutzstaffel (SS) officer and main assistant of Adolf Eichmann. Eichmann is recognized as one of the major organizers of the Holocaust. After the war, Eichmann fled to Argentina, but in 1962 he was captured and executed by the Mossad. During World War II, Alois Brunner was the commander of the Drancy internment camp outside Paris from June 1943 to August 1944. 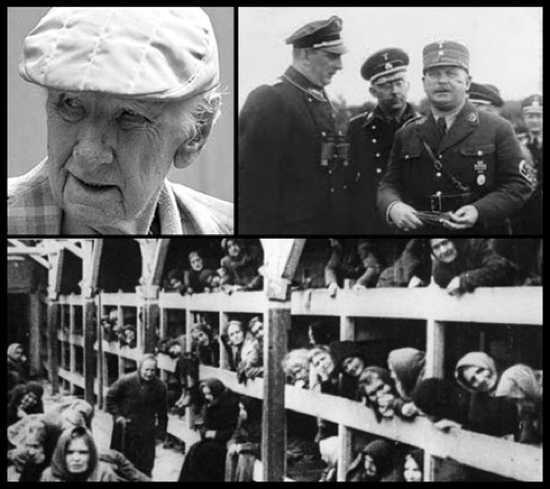 He was responsible for sending more than 140,000 European Jews to the gas chambers. 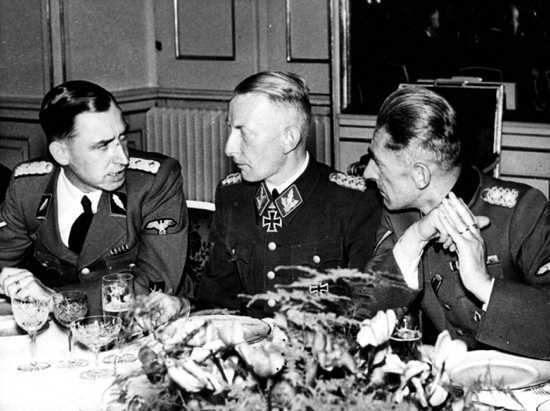 After the war, the identity of Alois Brunner was mistaken for another SS member, Anton Brunner, who was executed for war crimes. It became difficult for the Allies to identify Alois because he lacked the SS blood type tattoo. In 1946, Alois Brunner received official documents under a false name from American authorities and found work as a driver for the United States Army. In 1954, he fled to Syria and took the pseudonym of Dr. Georg Fischer after being condemned to death in absentia in France for crimes against humanity. Brunner was tracked down by Nazi hunters on several occasions, but was protected by Syria, who refused entry to French investigators who wanted to arrest him. In 1961 and 1980, Brunner was almost killed by a series of letter bombs sent by the Mossad. He lost an eye and the fingers of his left hand, but survived. In the 1980s he was interviewed by the German magazine Bunte and Brunner declared that his sole regret was not having murdered more Jews. In a 1987 telephone interview to the Chicago Sun Times, he stated: “The Jews deserved to die. They were garbage, I have no regrets. If I had the chance I would do it again.” In 2003, The Guardian described Brunner as “the world’s highest-ranking Nazi fugitive still alive,” but his whereabouts remain a mystery. In 2011, Alois Brunner made headlines when the German news magazine Der Spiegel reported that he may have worked for the German intelligence service BND. Josef Mengele was a German SS officer and physician in the Nazi concentration camp Auschwitz. He performed human experiments on humans, including children, and became known as the “Angel of Death.” At Auschwitz, Mengele worked under Eduard Wirths and was given the position of selecting which Jewish prisoners were executed and which were forced into labor. He was constantly searching for twins to experiment on because of their genetic similarities. Mengele would draw a line on the wall that was about 5 feet (1.5 meters) tall and every child that was shorter than the line was sent to the gas chamber. During the Holocaust, the Nazis massacred hundreds of thousands of Jewish children. Josef Mengele’s medical experiments included attempts to change the eye color of people by injecting them with chemicals. He amputated limbs, performed sterilization, shock therapy, and other evasive surgeries on Jewish victims. He didn’t use anesthesia and enjoyed torturing innocent people. It has been estimated that Mengele performed experiments on 1,500 pairs of twins at Auschwitz, but after the war was over, only 100 sets could be found alive. In 1945, Mengele was captured by American troops, but he had fake papers that named him “Fritz Hollmann” and was released in June 1945. After the war, Mengele lived as a farmhand in a small village near Rosenheim, Bavaria, until May of 1949. At that time, he escaped to Argentina via Genoa. He then lived in Buenos Aires and practiced medicine, specializing in illegal abortions. In 1962, Mengele left Buenos Aires for Paraguay after managing to get a Paraguayan passport in the name of José Mengele. On February 7, 1979, Josef Mengele died in Bertioga, Brazil, where he accidentally drowned, or possibly suffered a stroke, while swimming in the Atlantic. He was never arrested for crimes against humanity. In 2008, Argentine historian Jorge Camarasa speculated that Mengele, under the alias Rudolph Weiss, continued his human experimentation in South America after World War II, and as a result of these experiments, the area of Cândido Godói, Brazil has seen an abnormally high birthrate of twin children, with a substantial amount of the population looking Nordic. In February 2010, Mengele’s diary, kept from 1960 until his death in 1979 was sold at auction for an estimated $200,000 (£130,000). It was said to have been purchased by a Jewish philanthropist who wished to remain anonymous. In 2007, eight photographs showing Mengele at Auschwitz were recovered. In the included photo, he can be seen on the left side of the image. The Jasenovac concentration camp was an extermination camp established in the Independent State of Croatia during World War II. It is the only extermination camp that was not operated by the Germans during the war. It was also one of the largest camps in Europe and located in the German occupation zone of the Independent State of Croatia. The camp was established by the governing Ustaše regime in August 1941. The Ustaše were a Croatian terrorist group that was a blend of Nazism and Croatian nationalism. They collaborated with the Third Reich and were an Italo-German quasi-protectorate. In 1941, the NDH issued a decree restricting the activities of Jews in the area. The Jasenovac camp became known for barbaric practices and the mass execution of innocent people. 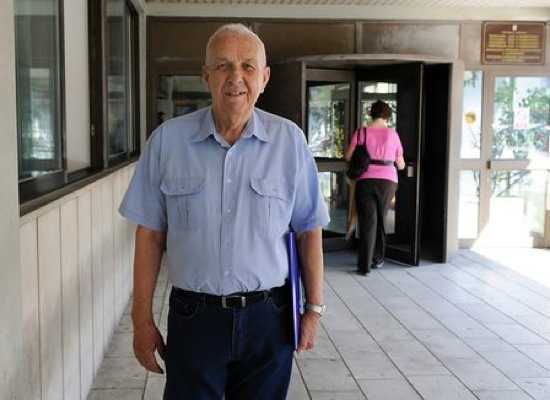 According to the former president of the Serbian Jewish community, Jasenovac was a more terrifying concentration camp, in terms of cruelty, compared with, for example, Auschwitz. On the night of August 29, 1942, the prison guards at Jasenovac made bets as to who could slaughter the largest number of inmates. One of the guards, a man named Petar Brzica, reportedly boasted that he had cut the throats of about 1,360 new arrivals. Brzica used a knife that became known as the Srbosjek, meaning “Serb-cutter.” The knife was originally used as a type of agricultural tool manufactured for wheat sheaf cutting. During the war, Brzica held the rank of Lieutenant with the Ustashe. He was responsible for the murder of thousands. 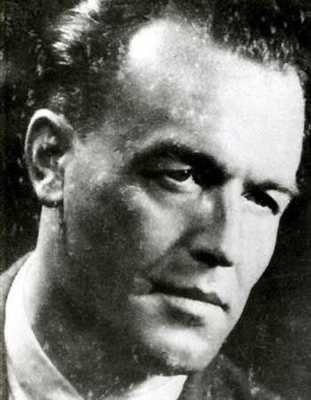 After World War II, Petar Brzica disappeared. Since that time, a collection of images have been published on the Internet that are said to show him in old age.